Ingleside Ethylene, a 50:50 joint venture (JV) between OxyChem and Mexichem, is constructing an ethylene cracker plant at the former's Ingleside site in San Patricio County, Texas, US. Image courtesy of Occidental Petroleum Corporation. The project is expected to generate approximately 1,700 construction jobs and 150 permanent jobs. 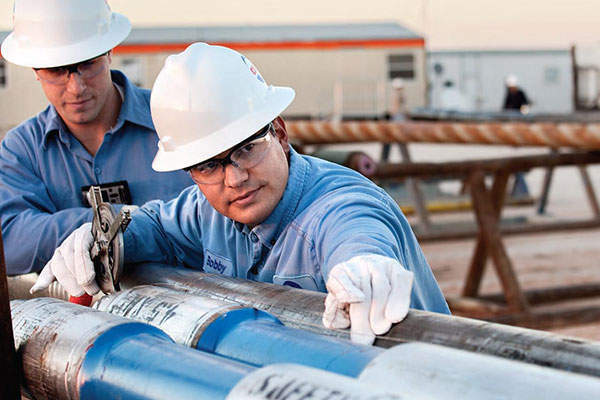 Image courtesy of Occidental Petroleum Corporation. OxyChem currently produces vinyl chloride monomer (VCM), chlorine and caustic soda at the Ingleside site. Image courtesy of Occidental Petroleum Corporation. 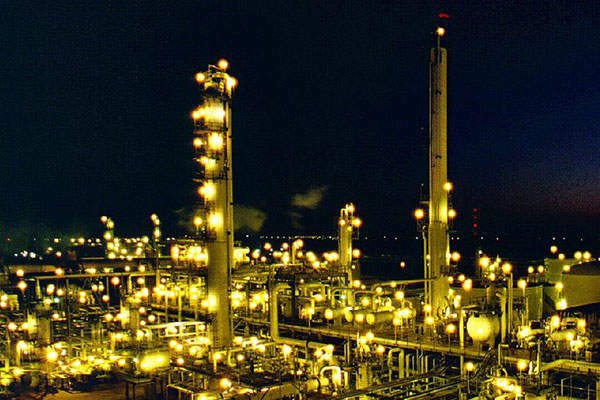 Ingleside Ethylene, a 50:50 joint venture (JV) between Occidental Chemical Corporation (OxyChem), a subsidiary of Occidental Petroleum Corporation, and Mexichem, is constructing an ethylene cracker facility at OxyChem’s existing site in San Patricio County, Texas, US, with an estimated investment of $1.5bn. The memorandum of understanding (MoU) to create the JV was signed in August 2012, aimed at benefiting from the low feedstock costs in the US resulting from the shale gas boom. The JV was officially incorporated in October 2013, with OxyChem being given the responsibility to build and operate the plant. "The project is expected to generate approximately 1,700 jobs during the peak construction period, and 150 permanent jobs when it comes online." The required project permits from the Texas Commission on Environmental Quality (TCEQ) and the US Environmental Protection Agency (EPA) were granted in May 2014, the construction of the 1.2 billion pound a year (550,000t) capacity ethylene cracker started in mid-2014 and is scheduled to begin operations in early 2017. The project is expected to generate approximately 1,700 jobs during the peak construction period, and 150 permanent jobs when it comes online. The ethylene cracker facility will cover an area of approximately 265 acres. The main components of the facility will include five cracking heaters / furnaces, two thermal oxidisers, a high-pressure ground flare, an emergency generator, a firewater pond, a five-cell cooling tower, and 16 storage vessels comprising four pressure vessels, ten low-pressure vessels and two atmospheric tanks. The project also involves the construction of an 18.5-mile (29.7km) feedstock supply pipeline, and a 114.5 mile (184.3km), 8in diameter ethylene pipeline to transport ethylene from the OxyChem Ingleside vinyl chloride monomer (VCM) plant to the OxyChem Markham storage hub, and additional storage facilities at Markham. 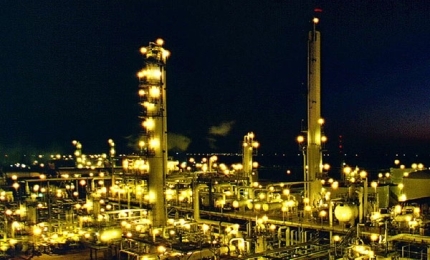 Williams Partners’ expanded olefins plant restarted production in February 2015 and is expected to reach full production by end of June..
Electricity required for the project will be supplied by new power lines laid adjacent to the two existing power lines. Substations are also proposed to be built at each ends of the new power lines. Wastewater generated from the facility is expected to be treated at the existing OxyChem wastewater treatment unit. The feedstock for the cracker will be ethane derived from domestic shale gas. The ethylene produced from the facility will be processed with chlorine sourced from OxyChem’s neighbouring chlor-alkali plant to provide ethylene dichloride (EDC) feedstock for production of VCM. Mexichem will buy approximately one million tonne a year of VCM produced from the facility under a 20-year supply agreement, for the production of polyvinyl chloride (PVC resin) and PVC piping systems. CB&I was awarded the $1bn engineering, procurement and construction (EPC) contract for the project in December 2013. The company had performed the basic engineering for the ethylene technology, the five short residence time (SRT) cracking heaters, and the front end engineering and design (FEED) services for the project. It has also licenced a technology for the plant. The Greenhouse Gas Prevention of Significant Deterioration Permit and biological assessment reports for the project were prepared by Tetra Tech. 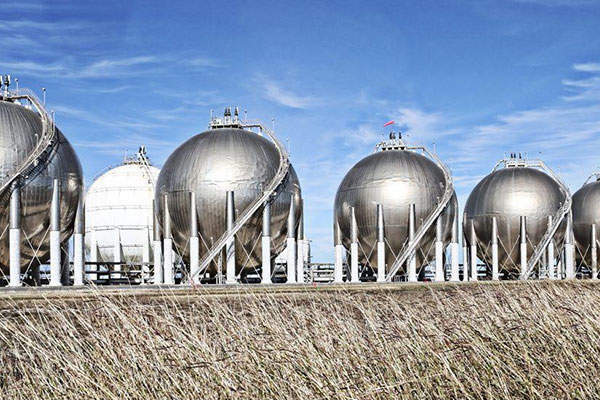 OxyChem produces VCM, chlorine and caustic soda, and generates 440MW of energy from its natural gas-fired cogeneration power plant at its 1,500-acre Ingleside site. The company acquired DuPont’s production facilities at the site in 1987 and restarted production the following year. The company employs more than 375 employees and contractors at the site and has invested more than $1bn for operational expansions at the site until 2014.